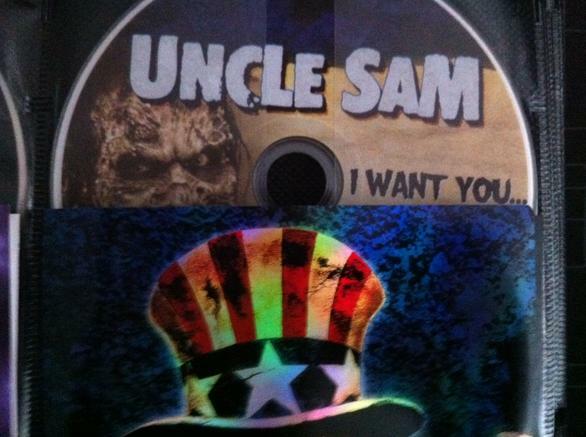 Known mostly for "Maniac" or his more recent "Maniac Cop" series of films, William Lustig explores a similar style with his political statement ‘Uncle Sam’. This Blue Underground release has all of the usual nice treatments of a Blue Undergound release and opens with a menu that is an exact copy of what is on the front of the box. No spoilers here. Let’s find out what they are hiding. Starkwell: His name is Sam, and he is an Uncle? How convenient. Lovelock: Wouldn't be much of a movie if it was called Uncle Peter. Starkwell: Wait, if Uncle Sam was in that guy’s class, wouldn’t that make him like a hundred years old? Lovelock: He probably just started teaching at a young age. Like Doogie Howser. Lovelock: Oh man, I really hope Uncle Sam offs the kid. Soon. Lovelock: Black Moses just knocked that scene out of the park. Hard. Starkwell: He’s a complicated man. Starkwell: The one-liners would be more effective if the movie moved a little quicker. Lovelock: I don’t know, that was a pretty fast cut. Lovelock and Starkwell then sat comfortably watching Uncle Sam off people for seemingly no real reason. Every now and then Starkwell would express confusion as to which side the director is on. Lovelock says he clearly just hates everyone. Starkwell: Clearly they have him parading around in an Uncle Sam costume so they don’t have to pay to have him in the Zombie makeup. Lovelock: Uh, no, it’s so he can blend in, idiot. Starkwell: Hopefully that’s a real band and they thought that appearing in this movie was their big break. Lovelock: You think they made it? 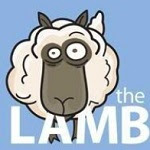 Starkwell: Chef is terrible in these scenes… what happened? Lovelock: Short answer - Scientology. Starkwell: He grew an awful lot of hair after dying. Lovelock: It’s to add an element of realism. Starkwell: For Lucio? That’s a bit presumptuous. As the credits rolled, so did Starkwell’s eyes. Lovelock simply used his hands to make a fart noise. I think at the end the filmmaker definitely chose a side, but the kid(s) made it hard to be happy about it. Hahahahaha dude these are awesome, keep it up. Children Shouldn't Play with Dead Things. The Plague of the Zombies.